Potential volume of investment in project estimated at $182 million. The KAMAZ auto concern, together with domestic software developer Cognitive Technologies, has launched a project to construct an unmanned vehicle. The two companies are planning to submit a valid test model in June 2015. The potential volume of investment in the project is estimated at 12 billion rubles ($182 million), according to Russian news agency RIA Novosti. Cognitive Technologies will work on a module that allows for unmanned vehicle control, including during difficult weather conditions and in the absence of road signs. The Russian government, represented by the Ministry of Education, has already allocated 300 million rubles ($4.5 million) for the creation of an unmanned vehicle. Another 90 million rubles will be invested by KAMAZ, said the head of the automaker's press service, Oleg Afanasyev. According to Afanasyev, the company analyzed the potential demand for unmanned trucks in the oil and gas, agriculture and housing sectors, and came to the conclusion that it was sufficiently high. The roads of Tatarstan should be first to see the pilot project in 2017, though launching an unmanned KAMAZ into commercial operation will first require changes to current law. According to Alexei Mikheyev, director of the Department of Metallurgy, Machine Tools and Heavy Machinery for the Industry and Trade Ministry, a safe system of autonomous control will solve, in the majority of cases, problems with numerous road accidents and fatalities. Every year in Russia, more than 2,000 people are killed on the roads due to accidents caused by truck transport. 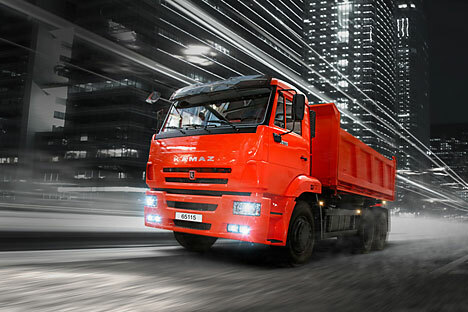 KAMAZ is the largest Russian manufacturer of commercial vehicles. It includes more than 150 organizations located in Russia, the former Soviet Union and abroad, including 12 major automotive manufacturing plants. It has assemblers in Vietnam, Iran, India, Kazakhstan, and Pakistan. Its total number of employees exceeds 59,000. Based on material published by Mir Robotov.